Inaccurate or incomplete tax filings can cause monetary penalties, delayed tax returns, or even IRS audits. Paylocity’s partnership with TurboTax allows your employees to securely import W-2 tax data directly into TurboTax, reducing chances for errors and decreasing the amount of time they spend filing. This integration is available at no additional cost. In TurboTax, there will be the option to import data. Select Click here for a current list and choose Paylocity in the partner drop-down list. To import tax information, credentials (ID: SSN, PW: Box 1 wages of W-2) will need to be entered so TurboTax can recognize and validate user access to account information. All imported information should be thoroughly reviewed upon completion. BE SURE AND LET YOUR EMPLOYEES KNOW ABOUT THIS GREAT NEW FEATURE! Comments Off on Paylocity’s Partnership with TurboTax! Make sure that your address information is correct in your Paylocity account. This is the address Outstaffing Payroll uses to mail your W2 form to you. Also, now is the time to change/update or enroll in HSA and 401(k) plans! Check them out from your Outstaffing Employee home page. And did you know…you can view and download your check/tax information in Paylocity? And, you’ll be able to see and download your W2 forms online when available – even before they are mailed to you! Now members can choose electronic ID cards! Anthem has introduced a new program that gives your employees the option to choose electronic ID cards only, rather than getting a hard copy card in the mail. This electronic-only option is available when their plan renews effective on or after January 1, 2018. If they choose this electronic option, they’ll use our mobile app, Anthem Anywhere, to access their ID card on a smartphone. This works even when there is no internet connection. Our electronic ID cards look just like our physical cards, so members will no longer need to carry a plastic card in their wallet. Today, members can use the Anthem Anywhere app to get their electronic ID cards, but we still mail them an ID card. Once the new program launches, they’ll no longer get physical cards, if they select the electronic-only option. Of course, members who prefer hard copy ID cards will continue to have that option. When visiting a doctor or other health care provider, members can show either an electronic or a physical ID card. Either is fine to use. And if the provider’s office needs a copy of the card, members can email or fax a copy right from the Anthem Anywhere app. Be sure to let your employees know! Anthem Blue Cross and Blue Shield and its affiliate HealthKeepers, Inc. are independent licensees of the Blue Cross Blue Shield Association. Comments Off on Employer News Flash! We will soon be mailing your w-2 tax forms. In order to prevent any delay in getting these to you, please visit you Paylocity account and verify that the system has your current address. Call us with any questions you may have. Paylocity has published a document about the Tax and Jobs Bill. Read more here. The login screen for Paylocity was upgraded on September 28 for enhanced security. However, your username and password remain the same. If you forgot your password, you can click “forgot?” and follow the steps to reset the password. Please go to your company portal to login (see link on Engage email.) If you do not remember your username, please contact our HR Department at 434-432-8600 ext. 2. For enhanced security, you may be required to go through secondary authentication. Please follow the instructions on the screen. Remember to “trust” the network if appropriate. This will ensure you do not have to keep authenticating each time you are at work. Information you need to know to help protect your employees. With all of the news swirling around the Equifax date breach, we are sending your employees 2 timely updates about how they may protect their information. Please also let them know that it is important to open the emails that they receive from us. We only send information that may be helpful to our employees, and our clients. As always, if you have concerns or questions, feel free to call us. Breaches Happen: What YOU can do to protect your personal information. As long as hackers can make money selling your personal information, breaches will happen. Organizations do what they can to prevent them, but nothing is 100% secure. The good news is that there are things you can do to lessen the chances of your information ending up in the wrong hands. The better news? IDShield has you covered! Are you signed up? According to the Identity Theft Resource Center, there have been more than 1,000 data breaches reported this year. You trust the organizations you do business with to protect your personal information, and 80 percent of surveyed executives say their company has developed policies and procedures to mitigate security risks. However, hackers are smart and they can move quickly. They also exploit employees’ willingness to trust that an email from an executive or third-party vendor is legitimate, unlocking a treasure trove of valuable information and putting customers at risk of fraud and identity theft. When you hear of a major breach, your first thoughts are about how you might be affected. This is only natural and there is no way to predict when a breach may happen. However, there are ongoing, proactive steps you can take to protect your information, and help you quickly recognize when you may be at risk. ■ Limit your information sharing. If someone asks for your Social Security number, ask them why they need it, how they secure records, and what happens if you don’t provide it. Don’t include your full name, birth date, email address and mobile phone number on public social media profiles. ■ When in doubt, don’t click. Think twice before clicking on a link in any email or text message. Even if the message appears to be from someone you know and trust, hackers have gotten very good at making phishing attempts look legitimate. ■ Check online banking and credit accounts regularly. You can quickly detect fraudulent charges or notice suspicious activity. ■ Don’t ignore snail mail. Did you receive a credit card for which you didn’t apply? A collection notice for an account you don’t have? These are identity theft red flags. Also, review Explanation of Benefits (EOB) statements from your medical insurance provider to verify that the listed services/products were received by you or a family member covered by your plan. ■ Check your credit reports. Ongoing credit monitoring will alert you when something new is reported to the credit bureau file that it is monitoring. However, credit reports should still be reviewed at least annually. Visit annualcreditreport.com or call the Annual Credit Report Request Service at 877-322-8228 to get credit reports from all three reporting bureaus at no cost. ■ Review your Social Security Earnings and Benefits Statement. Look for errors in your annual income. A difference in what is recorded and what you actually earned could be a sign of employment-related identity theft. To order a statement, call 800.772.1213 or go to ssa.gov. Do you have Identity Theft Protection? Outstaffing offers employees a Legal Protection plan, composed of two components: LegalShield and IDShield. Sign up for one, or both! Learn more, or sign up here. 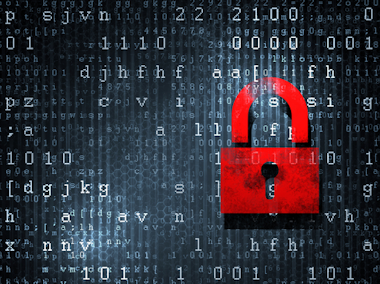 Comments Off on Breaches Happen: What YOU can do to protect your personal information. Credit freezes become a popular recommendation after a major breach, but Kroll Investigators advise placing a fraud alert with the credit reporting agencies instead. If you are considering a credit freeze, it’s important to understand what a credit freeze is, as well as the benefits and limitations. will be unable to evaluate your credit history. Without access to your credit history, any application for credit or other services while the freeze is in place will likely be denied. ■ Minimizing the risk of credit identity theft. ■ If you are already a victim of identity theft, there is usually no charge to place, temporarily lift, or remove a freeze. ■ A credit freeze does not aff ect your credit score. ■ In most states, the freeze will remain in effect permanently unless a request is received from the consumer to temporarily lift or permanently remove it. In a small number of states the freeze expires after 7 years. ■ In order to be effective, a freeze must be placed with each of the three credit reporting agencies. ■ There can be a fee to place a freeze unless you are a proven victim of identity theft. ■ A freeze does not prevent fraud involving existing bank or credit accounts. ■ A freeze does not reduce the chance of existing account takeover, nor help prevent non-credit related issues, such as medical or criminal identity theft, or employment and tax fraud. ■ A freeze may not be effective with creditors, including payday loan companies and utilities, who do not run a credit check with the bureaus. ■ You must temporarily lift (or “thaw”) the freeze when you want your credit report to be available when applying for credit with a new creditor, potential employer, etc. ■ Fees to place and lift freezes, as well as the length of time a freeze is in place, will vary by state. ■ Credit bureaus have up to five days to place a freeze after receiving a written request. Your information may still be at risk during this time. ■ Credit bureaus have up to three business days to lift a credit freeze; this may be an issue if credit is needed immediately. Currently a few states such as Delaware and New Jersey have passed laws requiring the freeze to be lifted within 15 minutes of the request. ■ Each credit bureau requires a separate PIN to lift a credit freeze. If you lose your PINs, you will have to write to each CRA and provide proof of your identification to request a replacement PIN. A fee may be required in some states to replace the PIN. Breaches can happen to any organization. That’s why it’s important for consumers to be vigilant about protecting their own information. If you are an IDShield member, you have already taken one of the most important steps towards protecting your identity in the event of a data breach. As part of your IDShield services, you have unlimited consultation with experienced Kroll Investigators who can help determine if your information has been used fraudulently; and if it has, help you to restore your identity to pre-event status. From the Federal Trade Commission: If you have a credit report, there’s a good chance that you’re one of the 143 million American consumers whose sensitive personal information was exposed in a data breach at Equifax, one of the nation’s three major credit reporting agencies. To read the full article from the Federal Trade Commission, click here. Comments Off on Equifax Data Breach: Are you affected? Take a look at your home page. Is your logo there, and if so, is it the logo you prefer? If you don’t have a logo or you aren’t happy with what’s there, send us a logo that you will be happy with. What about social media? Let us know which ones you want to link your business to and which ones that you would like to delete. Outstaffing is happy to work with you to get a site that you’ll be proud of!